We made this table from London Plane, a very popular street tree years ago. It is a difficult would to work with but the quilted grain patterns and general color are worth the effort. 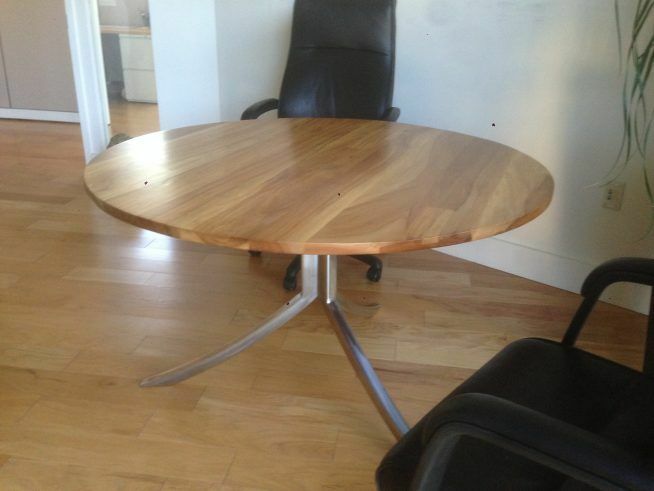 This table was done for a client’s home office down in Greenwich CT.